We’re opening for our 30th season on Friday, April 12! Where did the time go? 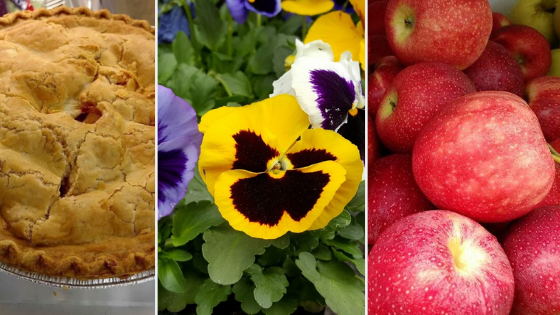 It’s hard to believe thirty years have gone by since we opened our farm market, and we’ve loved every minute of providing fruits, veggies, gardening supplies and prepared foods to our wonderful Lambertville community. April is Ablaze in Flower Glory! Spring is the season of vibrant colors just waiting to brighten your home and landscaping! Our hanging plants, flower and vegetable plants and gardening supplies from mulch, soil and organic compost to seeds, baskets and pots (including eco-friendly selections) are just waiting to help you make your home look its best, inside and out. We’ll even help you pot your plants—just bring us one of your pots or buy one of ours, pick out a plant from our large selection, and we’ll pot it for you. Everything! You’ll find all our shelves fully stocked with fresh produce, ready for your meal planning and recipes. Every month, we’ll be sharing with you on our blog and on Facebook all the local seasonal produce you can look forward to. Tag us on Instagram (@homestead_farm_lambertville) and show us how you use our fruits and veggies in your recipes, and don’t forget to pick up something yummy from our bakery section for dessert. We’ve got fresh breads and some gluten-free selections too! Don’t feel like cooking? Running on a tight schedule? We’ve got you covered with lots of delectable prepared dishes for both lunch and dinner, plus our famous Market Meals that are plentiful and a great value. And we’re stocking our pantry with lots of local artisan products—who can resist Griggstown Farm meats or Sugar Maple Jerseys dairy products?—including local honey, salsas, jams and so much more. We’ve also got plenty of organic and gluten-free selections. Recently Lambertville passed a single use plastic bag ban that will help reduce the unrecyclable plastics that not only won’t break down in landfills, but also can make its way to our beautiful Delaware River. 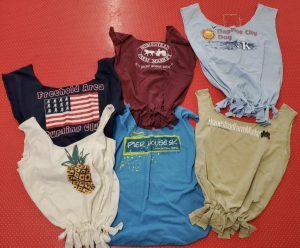 Although the new ordinance will take effect on January 1, 2020, we’re excited to help keep Lambertville environmentally friendly now by offering our own handmade reusable shopping bags made from t-shirts, which you can find at our farm market. We’re also carrying mesh produce bags and introducing our new “Take a Bag Leave a Bag” program. 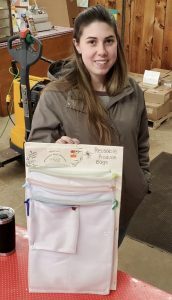 If you have more reusable bags than you need, you can bring them to our “bag tree” and leave them for customers who need one. It’s a different way of recycling and paying sustainability forward. Fresh produce every day. Locally grown produce in season. Homemade lunches and dinners to go. Fresh-baked award-winning pies.